An amazing hand drawn video animation with expressive colors, this colorful video loop adds an organic feeling to your video. An impressive visual to have in your visuals library. 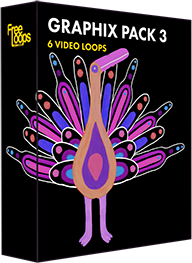 This video loop is part of Graphix Pack 3.